SQUAMISH, BC – Howe Sound Brewing has announced the release of the latest edition of a popular seasonal brand, although the beer behind the brand has changed somewhat from its original form. Still brewed to have a bit of a hop kick, the beer now takes a more ‘sessionable’ approach to make it even more refreshing. The change from grapefruit to mango adds to the unique flavour and smooth finish of this delicious brew. “With notes of tropical fruit, it has a clean malt profile that lets a large dry hop and the natural mango flavours shine through,” says Simon Jongsma, head brewer. 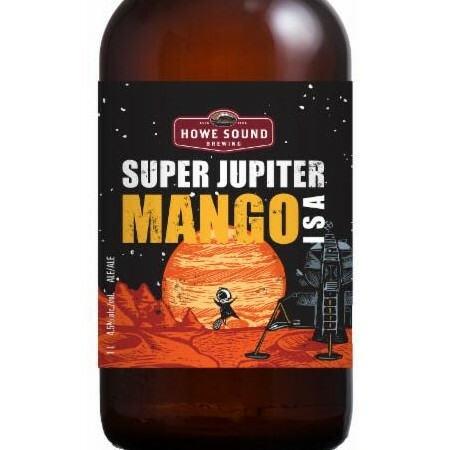 Super Jupiter is available at Howe Sound and select liquor stores in British Columbia.